UFC Utica goes down tonight; All fighters miraculously made weight for the fight night. 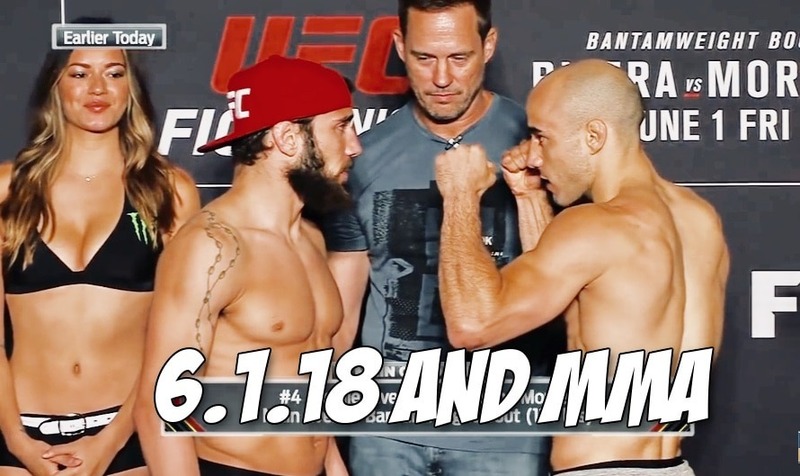 Jimmie Rivera is a tight favourite at (-115) whilst Marlon Moraes is (-110). Luke Sanders VS Rani Yahya has been booked for an August 25th fight night. UFC Prospects Nathaniel Woods & Jose Torres make their promotional debuts on Fight Pass; two fighters to watch out for. Following in the footsteps of Michael Cheisa and Tony Ferguson, Kelvin Gastelum is making his analyst debut on FS1 tonight. Darren Till posted a video on his personal YouTube channel documenting his weight cut but took the video down after getting blasted by social media commentators. Cris Cybrog’s (Angela Magana) battery case has been dismissed after Cyborg paid a $398 fine and by attending an anger management course.